This exploration of freedoms we have been doing for the past couple of months has much in common with the Four Brahmaviharas, or ‘heavenly abodes.’ These are states that are the gift of the practice, just as our freedoms we’ve been discussing are gifts of the practice. They are states that can’t be achieved by goal setting, by trying to be ‘good,’ or by pretending to be kind, compassionate, happy or wise. 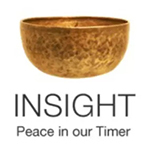 They arise out of the practice of being present, and in that being present, guided by the wisdom of the Eightfold Path, we may find ourselves in these states of connected authentic generosity of spirit: happy, kind, truly compassionate and well-balanced. We have explored two of these Brahmaviharas in this class: Metta, loving-kindness and Karuna, compassion. Now we turn to Mudita which means sympathetic joy. Sympathetic joy is feeling happy for the happiness of others. Not because we think we should feel it in order to be a nice person, but because we sense our underlying unity. From this deep rooted sense of connection, we feel their joy as if it were our own. And then we drop the ‘as if.’ Because the shared joy melts the possessive edges that can never adequately contain true happiness. The other day I was driving home from Spirit Rock and was descending White’s Hill into Fairfax behind two cyclists. Usually bicycle riders stay to the side of the road in their designated lane, but these two rode in the middle of the car lane, and since they were descending at a pretty rapid rate, they weren’t causing me to slow down. I was coming home from a lovely morning of yoga, meditation and dharma, more relaxed and connected than I might have been, so it felt quite natural to purposely keep my car at enough of a distance so they would not feel I wanted them to get out of my way. In fact, I wanted them to feel that they truly had the road to themselves, as a reward for all their uphill exertions. Then I enjoyed watching them and I relaxed into feeling in my body the sympathetic sensation of their hunkering down to be aero-dynamic, their leaning left or right on the curves. I relished the whole rich sensate experience of speed and freedom. And that is a form of mudita: Letting go of any sense that the cyclists were obstructing my ability to get home to eat lunch, I allowed myself to share in the pleasure they were experiencing, to be truly happy for them having this lovely ride on a beautiful autumn day. But sometimes we are faced with situations that don’t easily inspire mudita. Even in that fairly benign situation, I could just as easily have fallen into a story of personal loss, since I love bike riding, a childhood joy I had to give up many years ago as it is too hard on my knees. I could have felt envy, sadness, depression. I could have mourned the feel of the wind in my face, instead of enjoying it through sharing in their experience. And maybe on another day, in a different situation, my thoughts might have gone there. But on this day, they didn’t. On this day, I was delighted to find myself in the state of mudita. Each of us has our personal losses and unfulfilled dreams that have the capacity to haunt us whenever we are confronted with someone who seems to be living that dream or still has what we have lost. Perhaps we weren’t able to have a child, or lost a child, and when we see someone with children or a pregnant woman, we may not feel sympathetic joy at all. The sight only stirs up our story, causing emotions and thoughts that unsettle us. If we weren’t caught up in the story, we could enjoy all the children we meet, delight in the sight of babies in strollers or trick-or-treaters in their costumes. But because they aren’t ours, because we can’t tuck them into bed at night, because they don’t call us mommy, we can’t appreciate them. Maybe we can see that it would make sense to reach out to other people’s children as teachers, care givers or aunts, but we just can’t do it. The story seems to be so tightly woven that it feels solid, impermeable, and we are caught in the middle of it, as if a spider had wrapped us up for dinner. Most of us at some time have been in a position of hoping for a job, a promotion, a relationship, acceptance in a program or a competition of some kind. And most of us know what it is like to be denied the prize we sought. What happens then when we meet the person or persons who received whatever prize it was we wanted. How does that feel? Maybe we want to feel happy for them because we don’t want to be a sore loser. Maybe we feel embarrassed by the strength of our aspirations and the way we feel sucked out to sea by the undertow of that great wave of hope we had been surfing. We have all experienced this to some degree at some time in our lives. We can all remember how it feels. Maybe we don’t even have to remember, maybe we have some experience of it in our current situation. Whatever it is, we need to be present with it, noticing the arising thoughts, emotions and sensations; noticing any harsh judgments that arise; holding ourselves with compassion, remembering that we are only human, vessels through which these kinds of emotions, thoughts and sensations flow. Because it is so normal to feel envy, it comes as a surprise when mudita arises within us. What a delight is this unexpected gift of feeling joy at the sight of a child not our own! How sweet to truly feel happy for the person who receives recognition, knowing that that person too was hungry for acknowledgment, worked hard, suffered, feared failure – just as we did, and we are the same in that way. And many other ways as well. So the joy is simply joy, simply happiness, simply a celebration we can attend without feeling we weren’t invited. If sympathetic joy seems unachievable it’s because it is. Totally unachievable! Like all the freedoms we’ve been discussing and the other three Brahmaviharas, this sympathetic joy for the happiness of others is a gift, not a goal. Mudita is not a practice so much as a fruit of metta and awareness practice. If we try to treat it as a goal or try to don it like a garment, draping ourselves in the pretend glow of happiness for others, we fail in our true practice: to be present for whatever arises. Noting whatever feelings arise – envy, jealousy, anger, then noticing the disappointment we feel at discovering them in ourselves, then noticing any shame or sense of failure: That’s the practice. We begin to see the previously unconscious habitual patterns of thought and the reactive behavior they trigger. Making the patterns conscious starts to dissolve the tightly wrapped threads, so that there seems to be more time and space to see and make wise choices. Instead of battling our thoughts and trying to change them, we just bring full awareness to them. We see them for what they are and begin to feel less threatened by them. We see that they are not us. We are not defined by them. These thoughts and emotions are simply a part of the universal human condition, and conditioning. When we are able to be compassionate with our feelings we are less likely to feel the need to express these emotions through our words or actions. We might share our noticing of feelings arising, but we do so in a conscious way that doesn’t make the other person responsible for them. As children our parents were made responsible for all these unacceptable situations and emotions. My mother saved a note I wrote when I was eleven in which I described everything that had gone wrong that day and how it was ‘ALL YOUR FAULT!’ Why did she save it? Years later I found myself saving a similar note from one of my own children. Strangely mothers often find these rants endearing. But they are really only endearing in children, these tantrums. In adults not so much. Archie Bunker used to say, ‘Stifle!’ to his wife Edith whenever she was expressing her emotions. But that’s not what we are going for in our practice. Instead, when we discover these volatile emotions throwing a tantrum inside ourselves, we want to bring the compassionate bemusement of a mother whose child is ranting. The mother knows she is not really responsible for all the awful things that happened in her child’s school day, so there’s no reason to get caught up in defending herself. She can recognize the humanness, and the dearness of this loved one, struggling with her emotions. So we don’t stifle our emotions. Instead we create a place for them to play within our spacious mind. We watch with loving curiosity, noticing, listening, even asking questions, but not scolding or trying to shut the process down. (When we notice we are scolding or trying to shut down the process, we simply note that as well.) We feel as much compassion and understanding as we are capable of feeling, but, just like my mother and mothers around the world when dealing with an exhausted child on a rant, we don’t succumb to the story that’s being told. We don’t need to react, or bring it out in the world, making others responsible for the internal chaos we are experiencing. We don’t have to be harsh or indulgent. We simply sit with the experience until the tantrum passes. If we slip into unskillfulness and do act upon these feelings, we acknowledge them as soon as we recognize them, and apologize for our behavior to whomever we may have hurt in the process. We silently send metta to those we have harmed and to ourselves. Ultimately this metta practice has the capacity to bring the experience of sympathetic joy for all beings, as we become attuned to the bountiful nature of the universe and see that another person’s good fortune does not deplete our own. On a very practical level, we can bring into question the very idea that what the prize-winner has is actually the source of happiness that we imagined it to be. Does any event, possession or relationship truly have the ability to make a person permanently happy? We know from our own lives that that is not the case. And knowing so, we can see if we are making the mistake of projecting happiness onto these ‘winners’ when, in fact, they are suffering in ways we might not have imagined. We dehumanize them by making assumptions that they should be happy because of what they have. They should be happy, damn it, because they are now holding the stuff of our dreams and they better appreciate it! If they were to complain about anything, we would get out our air violins and play a few notes for them, the universal sign of, “I am SO not sorry for you, you little whiner.” But with just a little sensing in to the nature of things, we can see that they are still beings deserving of our compassion. And seeing that the prize they have is not happiness incarnate helps to put our loss in perspective. Feelings of envy or schadenfreude, the German word meaning enjoyment of the misfortune of others, sometimes especially those we may have envied, since now they have been brought low (where we apparently feel we are,) offer us the opportunity to explore strong emotions. We can ask questions of them as if they are messengers with important information to share. We can personify them if that makes it easier to do inner dialog work, giving them a recognizable personality and nickname so that we will easily recognize them in the future. With curiosity and compassion, we can ask, ‘What do you really want?’ ‘What are you trying to tell me?’ “What are you afraid of?” ‘What do I need to know?’ Taking a little quiet time for this kind of inner exploration helps to release the tight threads that are making us a spider’s dinner instead of aware beings. We can also use the good fortune of others to clarify a path we ourselves would like to embark upon. Perhaps we are surprised to feel a spark of envy at someone’s receiving an award for something we had no idea we were interested in. Perhaps a path is illuminated by their experience, and we recognize that if it is possible for them, it is more likely to be possible for us as well. And if we feel otherwise, we can question in to see why we don’t believe this to be true. If we do want to pursue the path they are on, we can take the bold step of asking them how they did it, find others who also did it and learn from their inspiring stories as well. Throughout the process, we continue asking in to see if it is the direction itself that is of interest or craving similar acknowledgment in another area, perhaps one we can’t even bring ourselves to name, so unworthy do we feel to have these aspirations. Whenever we are experiencing any distressing emotion, we can send ourselves metta, loving-kindness. And from this practice, when we least expect it, mudita surprises and delights us, as it did for me that beautiful autumn day, feeling the thrust and lean of those cyclists on a joyous downhill run. This entry was posted in envy, Four Brahmaviharas, http://schemas.google.com/blogger/2008/kind#post, low self-esteem, mudita, sympathetic joy, unworthiness on November 20, 2009 by Stephanie Noble.